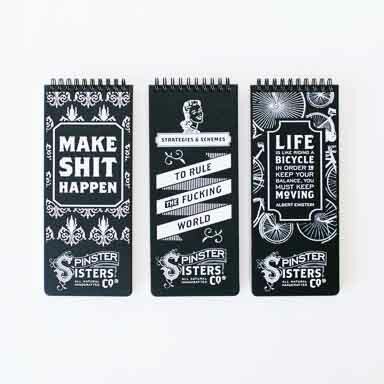 Pint Glass | T-shirts and Other Merchandise | Spinster Sisters Co. 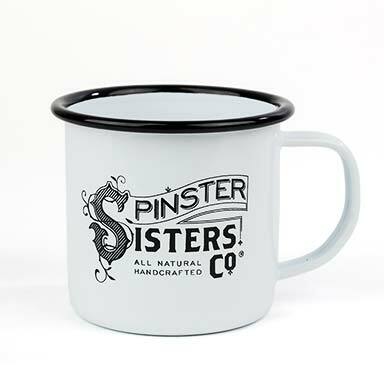 These screen printed pint glasses feature the Spinster Sisters logo on one side and the banner 'Suds Up with Sisters' on the other. Clear glass available with red, turquoise, or black printing; photos show glass stuffed with colored tissue paper for visibility. 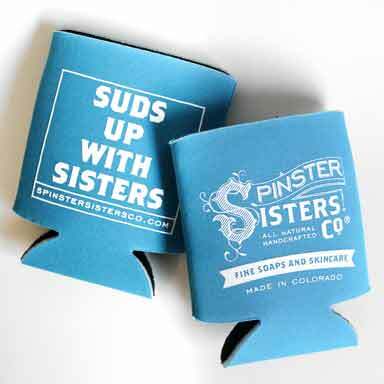 Made by hand in Denver, CO.
Pour your favorite drink into your new favorite Pint Glass and enjoy!